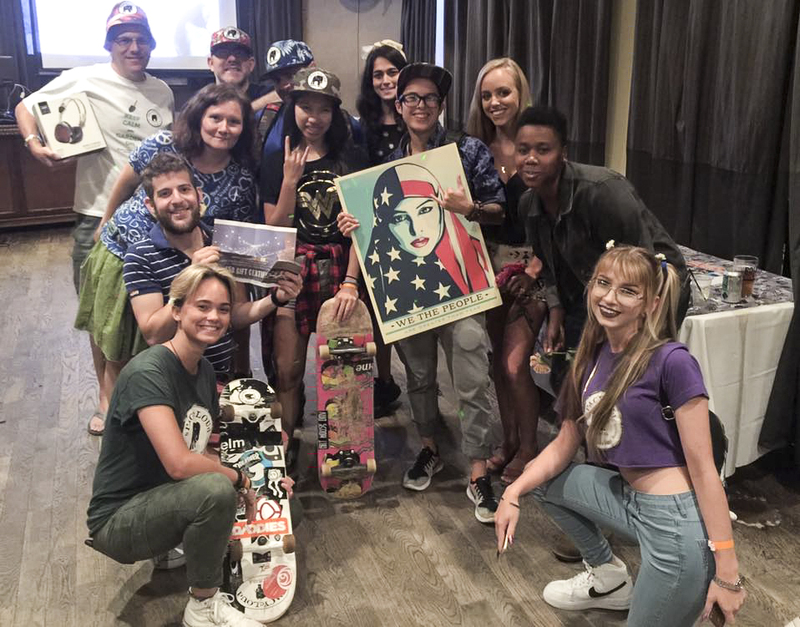 On August 5th, sPACYcLOUd hosted a fundraiser to raise money for Skate Girls Tribe’s trip to Cuba. It was definitely a success – thanks to everyone who showed their love and support for the team! 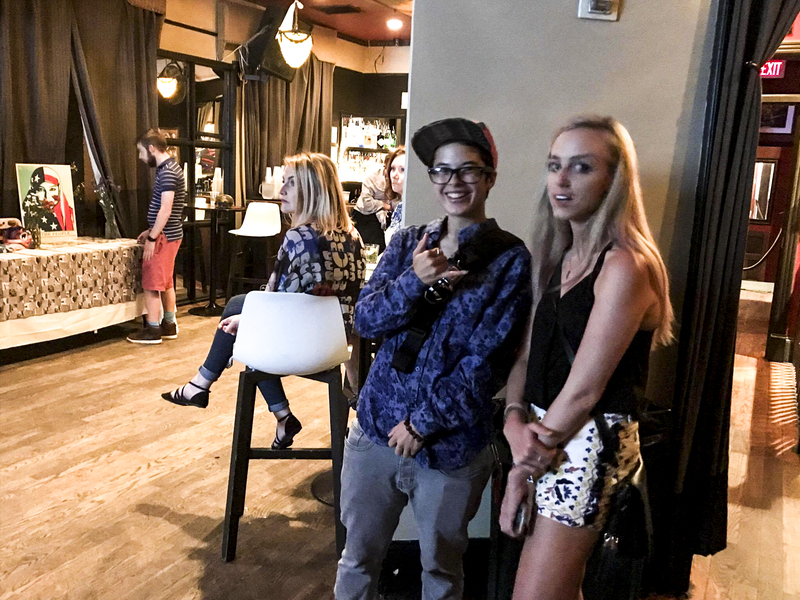 The contributors included family and friends but also local businesses such as Get Hemp Butter, Mellow Mushrooms, La Tasca, Cuba Cuba, Smash!, Bourbon, LSTN, Tenley Pop Dance Studio, Hemp Kettle Tea, and Embassy Suites. Team sPACYcLOUd was stoke! 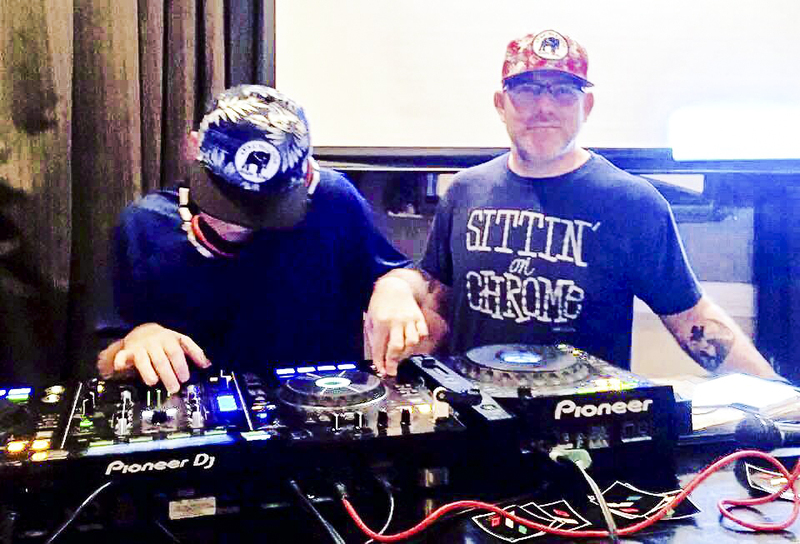 The event kicked off with the ragga jungle mixes from DJ Gogo Craig and DJ Blaze One from Tribalistix. They sure know how to get the party started! Visitors were already making their silent auction bids as they jammed to the music. 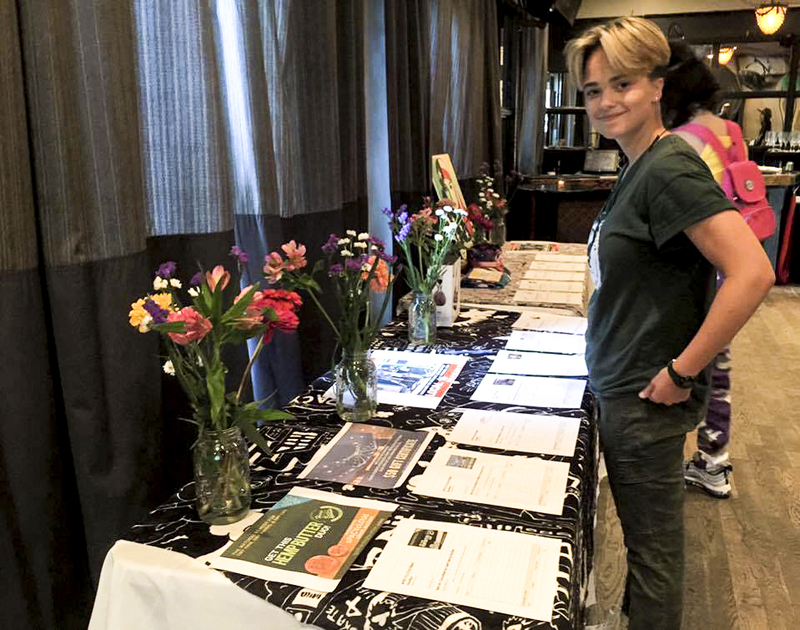 The event also included “Hermanas en Ruedas” documentary screening by Amberly Alene Ellis. 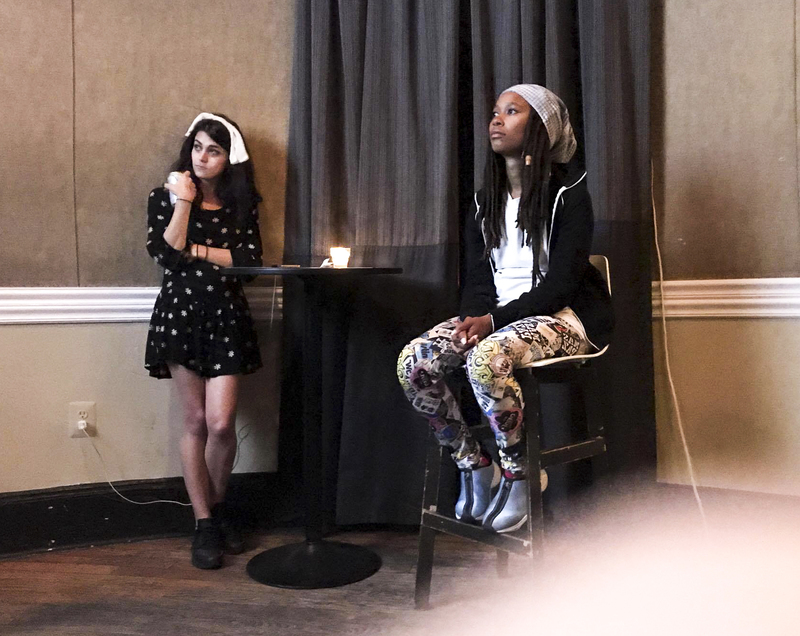 The film depicts struggles of female skaters in Cuba, their personal stories on how they discovered the sport and unique challenges facing women skaters as their numbers grow. The film helped us to connect to women in Cuba on many different levels. In DC or Havana, we see similarities in our struggles. Skateboarding inspires us to take action and make positive changes in the daily lives and keep our passion alive. It also helps to break down walls and barriers and allow us to understand one another. As the auction came to an end, participants were hyped about receiving their items and everyone was impatient for the final outcome. The results? Everyone was a winner! We made new friends, got inspired by female shredders in Cuba, raised money for our trip, learned about Cuba, danced, and grooved. 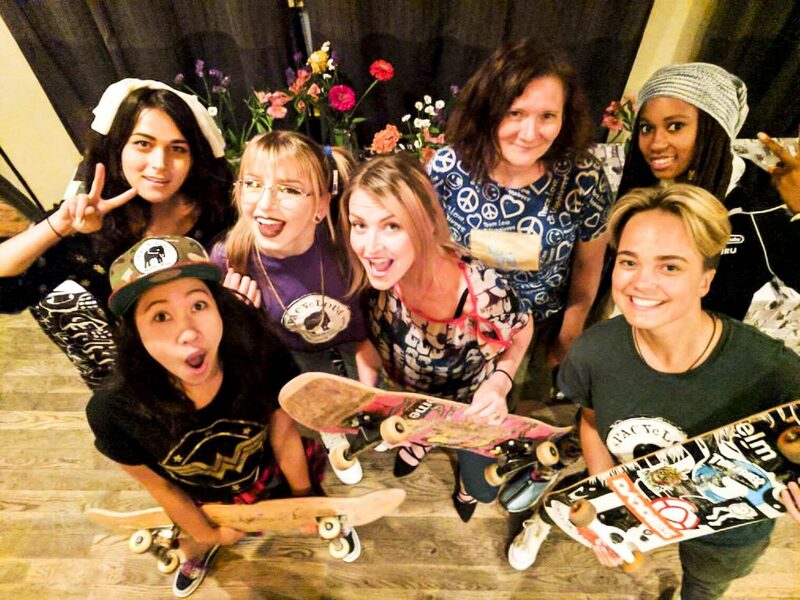 Every person benefited in their own way from sharing love and support for Skate Girls Tribe and sPACYcLOUd! Big “Thank You” to Local 16 for hosting our event! It would not have happened without them.